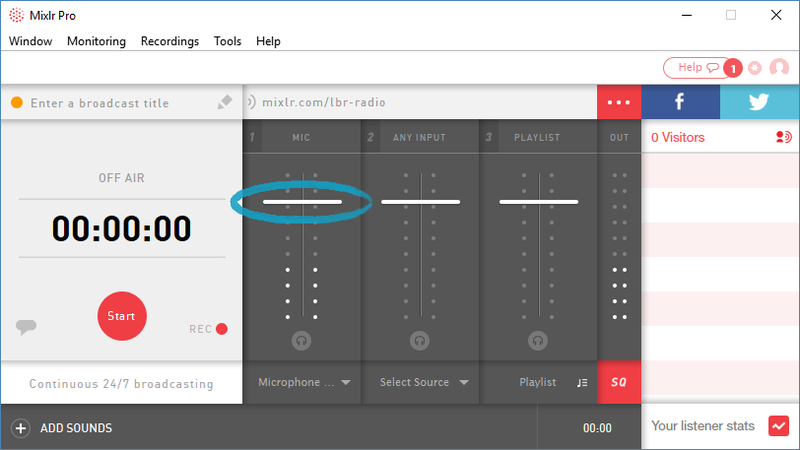 You can adjust the volume by clicking on the white fader bar and dragging this up or down. If you see a 'CLIP' warning, this means your audio is being distorted. Drag the fader down until the 'CLIP' warning stops displaying to stop the audio from distorting. TIP: if you can see the visual display indicators for the channel lighting up but you can't hear anything, you may need to activate monitoring. 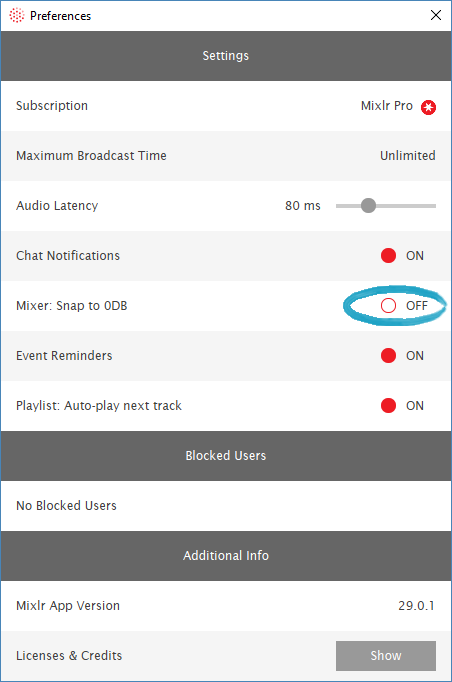 If you want to deactivate this feature you can do so via the Preferences window. Open the Preferences window by clicking the Window tab in the Mixlr desktop app and clicking 'Preferences'. 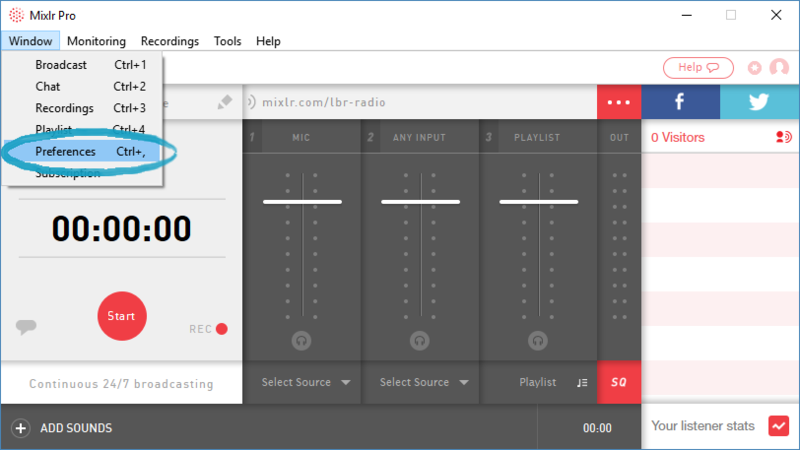 Click the button to the right of 'Mixer: Snap to 0DB' to toggle this feature on or off. Once you have set your new value you can close the Preferences window - the new settings will save automatically.